Figure 1.14 uses size comparisons in the universe to introduce scientific notation. This dynamite site, called “Powers of Ten” is not to be missed. Do not be impatient as it loads — it is worth the wait. 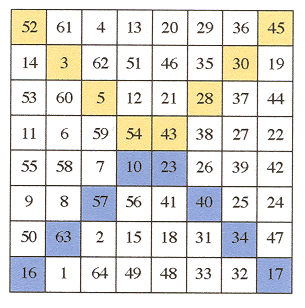 Write a short paper about the construction of magic squares.